Why confine ducks to the bath? Here's a pull-along wooden playmate that nods its head, flaps its wings, and even gives out a quack to let you know it's still behind you! 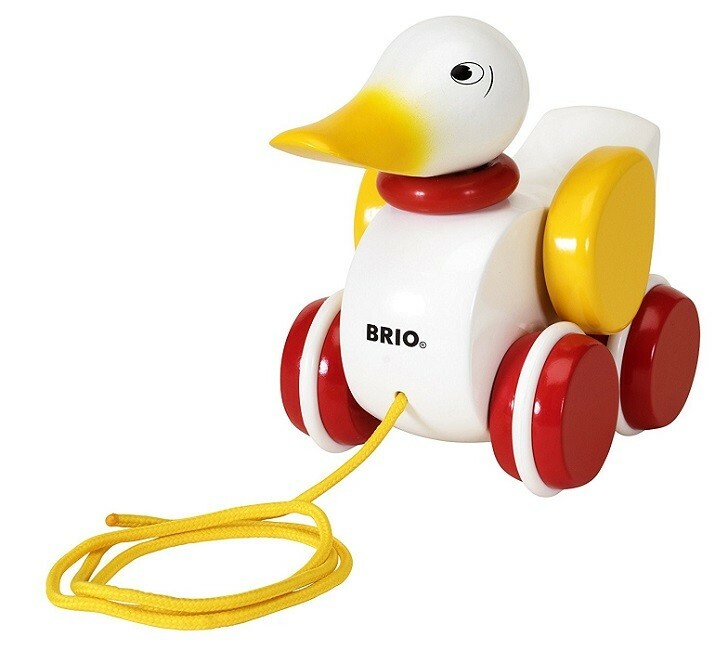 This cheerful pull-along duck from Brio has bright red wheels that will work on any floor surface, so her fun doesn't have to stop at the edge of the carpet. Plus, parents will love the high quality beechwood and non-toxic, smooth finishing. 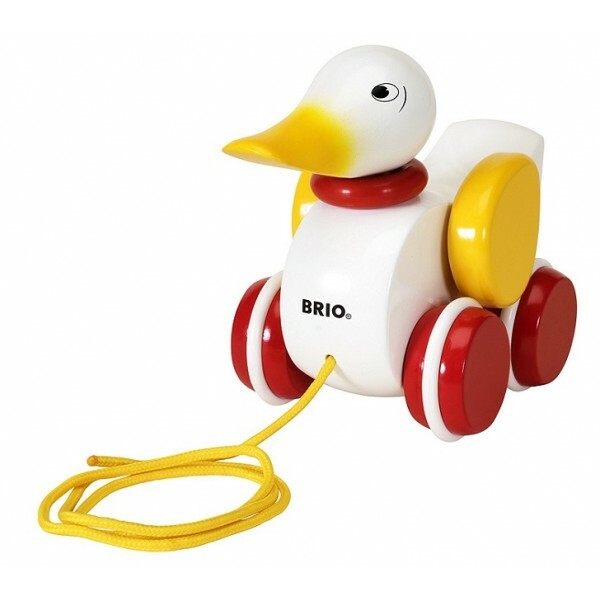 The Brio Pull Duck is classic play for today's toddler. For more fun toys for the littlest Mighty Girls, visit our For Baby Collection.